Are you worried you might have an alcohol addiction? If so, then you are already to the point of questioning if what you drink is too much. There are several signs that come with someone struggling with an addiction, especially one to alcohol. The sooner you take the steps to get your addiction under control, the less consequences of the addiction you are likely going to have to face. Here are some of the most common signs to expect if you might have an addiction to alcohol. How many resonate in you? At first, you simply made plans to go out and drink with friends now and again, but if you didn’t go out it was no big deal. However, lately, you notice that if your friends don’t want to go out drinking, you make plans of your own. You change your day to make sure there is something with alcohol in it. Maybe you have changed the route you take to work or home from work to include a liquor store. Perhaps you go to the grocery store to get things you don’t really need, simply because you actually need more booze. If you have changed your day to accommodate your drinking habits, you might have an alcohol addiction. Another way that your day could revolve around alcohol is by you taking drinks throughout the day. Have you ever started off your day with a drink? Do you ever hide alcohol around the house to sneak when no one is looking? These are signs that alcohol has taken over, and you are in the middle of losing control. You need to step back, get some help, and realize just how much control your alcohol habit has over your life. That is the only way to break free from this cycle. This particular sign is multi-faceted. When you make alcohol superior to your obligations, then you are very likely struggling with an alcohol addiction. Alcohol should not come before going to work, spending time with your family, or paying your bills. Many people who have an alcohol problem say this will never happen to them. However, it comes on gradually. You call in sick now and again from a hangover, then it turns into taking a day off in advance because you know you will be drinking a lot the day before. It adds up and cumulatively becomes reality. Look at your life through sober eyes. Ideally, look at what is going on as an outsider. If you were your best friend, looking at your life, would you see signs of a problem? Also, if you know that you are struggling with something, but you still make alcohol a priority, that is also a big sign that you might have an alcohol addiction. Do you have trouble paying your bills on time, but always have enough money for alcohol? Does your health suffer because of your drinking, but you still do it? You have made alcohol more important than those things, which is unhealthy. Take care of yourself, and your life, before alcohol takes those things from you. Perhaps you used to not understand why anyone would drink alcohol, then get behind the wheel. Now, you have done it a few times, so you can understand how it could happen. You know that it does not make it right, and that you could not only face a DUI, but seriously injure or kill yourself or an innocent person. But, you can see a justification. That is alcohol changing what you think and feel, making it to where those thoughts are now rational. Perhaps you now can only be ‘nice’ when you are drinking. The only way you know how to be fun is when you have alcohol in your system. The problem is, you don’t see how you treat others up until you have that alcohol in your system. You went from being a nice person to being irrational, grumpy, and snappy. That, again, is the alcohol causing changes in your body. While some people get a DUI their first time behind the wheel after a drink, this is typically rare. They say, most people are behind the wheel, drunk, at least 70-80 times before they face their first arrest for DUI. If you have gotten to where it is commonplace for you to drink a little bit, then drive home, you need to know that your actions are not safe. Even a little bit of drinking alcohol can lead to massive consequences. Plus, you may not realize how little you have actually had if you are a regular drinker. The more common drinking is for you, the more likely you are to have developed a tolerance to alcohol. That means, it takes more to get you feeling its effects. You may think you have only had a drink or two, when in reality, it has been five or six. This is unsafe driving at its worst. Do You Need DUI Help? If you have gotten to the point of having a DUI arrest in Arizona, do not worry, there is help for you out there. You do not have to worry that you are going to struggle for the rest of your life. We can help get you the DUI screening court is going to ask you to do anyway, and if you need it, also help you get connected with the right alcohol rehab facility for your needs. 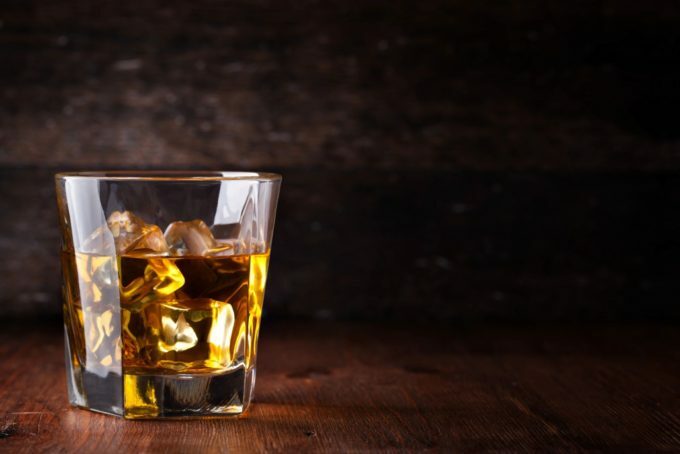 A DUI in Arizona shows that you might have an alcohol addiction, but court is going to want to see what you do about it. Show the court that you want to fix your mistake and take responsibility for your action. Call us here at Alcohol Screening Arizona, by dialing (602) 687-9481 today. We will help you start the process of reclaiming your life, and get you into a position where you no longer need to be worried about having an alcohol addiction. This article was posted in Alcohol screenings and tagged alcohol screening, Alcohol Screening Arizona, alcohol screening DUI, alcohol screening online, alcohol screenings, arizona alcohol screening, Arizona MVD alcohol screening online, AZ Alcohol DUI Screenings, AZ DUI alcohol screening, AZ DUI alcohol screenings, AZ MVD alcohol and drug screenings, az mvd alcohol screening, convenient online alcohol screening, court-ordered alcohol screenings, DUI alcohol screening, DUI alcohol screening Arizona, DUI Alcohol Screening in Arizona, DUI online alcohol screening, easiest AZ alcohol screenings, internet alcohol screening, MVD Alcohol Screening, MVD Alcohol Screenings, online alcohol screening, online alcohol screening Arizona, Online DUI Alcohol Screening Arizona.